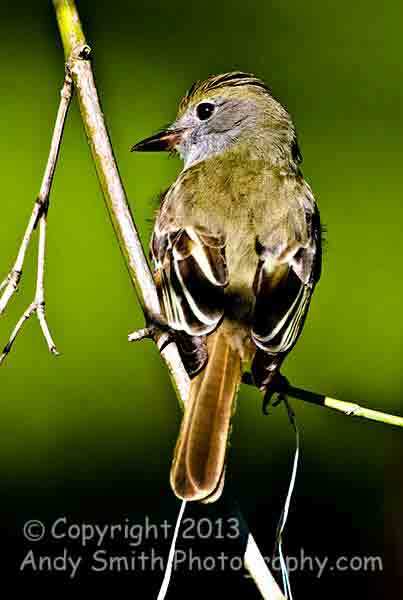 The Great Crested Flycatcher, Myiarchus crinitus, is a bird heard more often than seen. Its rising whistle is common in wooded areas. Since it prefers treetops, it is sometimes difficult to spot. This one and its mate posed nicely for me in Valley Forge National Historical Park.